This week's Daily Record column is entitled "New York City Bar on Lawyers and LinkedIn." 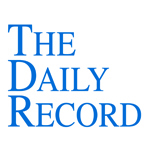 My past Daily Record articles can be accessed here. In December 2015, The Association of the Bar of the City of New York Committee on Professional Ethics addressed the issue of whether the use of LinkedIn by attorneys constitutes attorney advertising. While I agree with the committee’s conclusions (which I discuss below) and the overall approach toward the application of the ethical rules to attorneys using LinkedIn, my general sense of positivity toward Formal Opinion 2015-7 quickly dissolved as I attempted to wade through its more than 9,000 words. That’s right, the opinion was, by my count, 9,008 words long. That’s a lot of verbiage to address what I’ve always maintained is a relatively simple principle: online behavior is merely an extension of offline conduct. 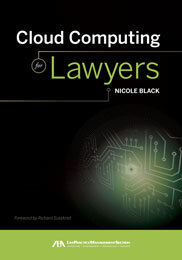 As such, general guidelines regarding lawyers’ online activities are all that is needed. Specific case-by-case — or platform-by-platform — analysis is unnecessary, especially in light of the ever-changing nature of both online activities and online platforms. The committee then used the next 8,632 words of the opinion to reach the conclusion that, in most cases, lawyers can use LinkedIn and doing so doesn’t constitute attorney advertising. You can either grab a cup of really strong coffee and attack the opinion yourself or, in the spirit of sharing and collegiality, I’m more than happy to summarize it for you in 400 words or less. Without further ado, here’s the essence of the opinion in a nutshell. There. 365 words. You’re welcome.